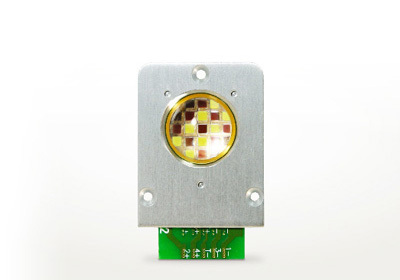 Dense Matrix LED™ technology results in a compact and super–bright point–like illumination source that features high CRI, adjustable color temperature, and can produce a number of unique lighting effects. It does so by using patented heat dissipation technology to pack numerous LEDs on a single array. Because of this compact placement, Dense Matrix LED™ are no bigger than the size of a dime and are also more dynamically adjustable and produce superior optics. The compact placement of LEDs results in a powerful array that is no bigger than the size of a dime and is easily adaptable to a variety of applications. Advanced heat dissipation technology allows for longer life times, better performance and higher efficiency. By grouping a number of high power LED chips together, Dense Matrix LED emits penetratingly intense light.